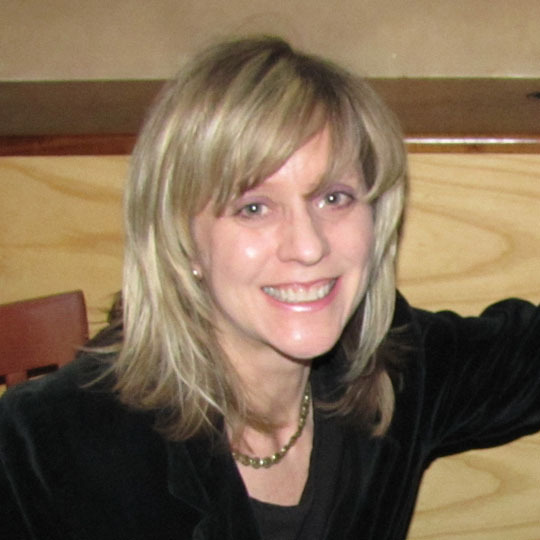 Today’s featured writer is MK Wolfe, a playwright and lyricist based in Maine. I live in Portland Maine – Vacationland! – with husband and cat after spending years in New York and Los Angeles. Here I run (with artistic director Al D’Andrea) Snowlion Repertory Company, where we create, develop and produce new stage works of cultural, ethical and spiritual value. I write in a variety of media – for example, I was just published (twice!) in Funny Times, a national monthly, and my short play Swedish Meatballs was part of an evening of plays about food called The Maine Dish, held during Maine Restaurant Week. After living in the two largest US cities, I now have time and space, here in Maine, to look at birds and trees and think deep thoughts. I am the luckiest of humans! I got bit by the theater bug back in 7th grade, and when I graduated from NYU (with a major in drama and English) I got into writing for the theater in the midst of acting and directing and designing and co-running a theater company in New York called Third Step. My very first musical book was an adaptation of a Charles Dickens Christmas story that ran in New York and was attended by none other than Stephen Sondheim, who generously and without solicitation donated a chunk of money to the theater company to continue its work. What a guy! It wasn’t until I moved to California, though, that I turned my attention full time to writing and vowed to build a body of work. I did letters to the editor, newsletters, anything to get published! Theater kept calling me back, so I wrote plays and more musicals (this time writing lyrics as well). Someone asked me recently, “Why do you keep doing theater, given all the challenges?” I said, “I don’t know how to do anything else.” He laughed and said it was like the story of the scorpion and the frog – the scorpion can’t help but sting the frog while he’s riding on the frog’s back as they cross the river, dooming them both, because it was his “nature” to do so. Showing up at the page is the most important thing for me, regardless of what I’m writing. I can’t wait for inspiration – I just have to sit down and get to work. Even if what I write is “blah blah blah.” Eventually the wheel gets greased and stuff starts to happen. But for me, nothing really happens until I hear the voices in my head. I am more an auditory writer than a visual one, I guess. I don’t see images so much as hear voices. Handy for the theater, and it happened to work out well for my story for All the Kings Men, as it’s a first-person narrative. Your story in All The King’s Men is a short novella entitled Rations, a piece that chronicles some pivotal events in the life of an orphan. Can you tell us where this story came from, and what it means to you? Years ago I had a play done called A Maid of Honor about a wannabe writer who falls in with the dysfunctional family of her childhood best friend who is about to get married, and all the insecurities, poor self-image, and abuse from her youth come roaring back to torment her. It’s a comedy! In it, the lead talks with her award-winning writer host about an unpublished novel she wrote: “My novel is about space orphans. A bunch of orphans cavorting through space. Star Wars meets Oliver Twist. 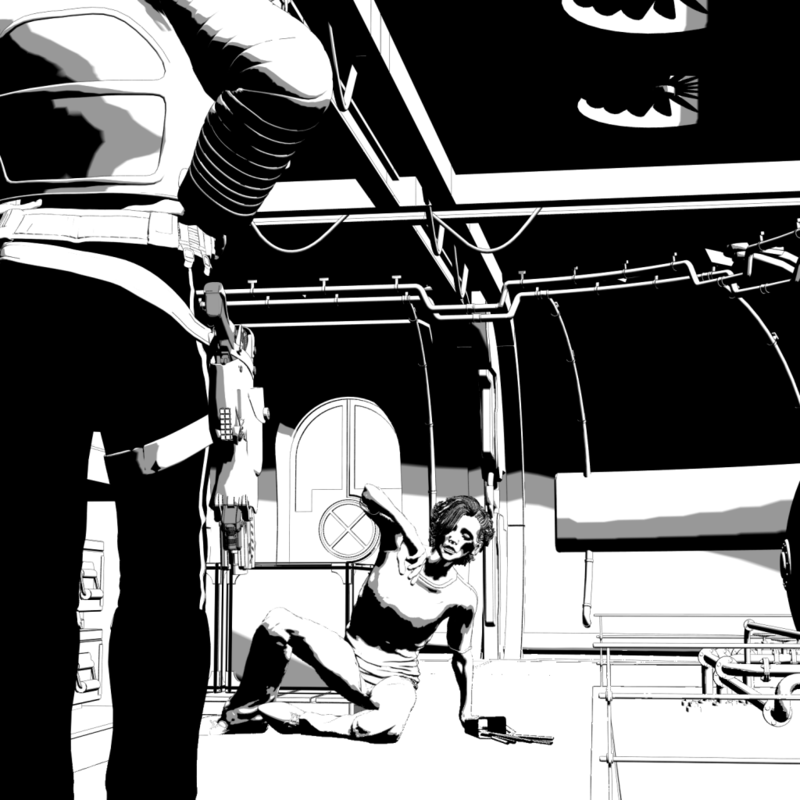 Pulitzer material, you know.” It turns out, long ago I had had a vague idea about orphans in space. That idea ended up being mentioned in that play. And when the opportunity for All the Kings Men came up, that idea bubbled (unbidden!) to the surface again. No ideas are ever lost or wasted – they just sit in the bottom drawer of the mind, waiting to be dusted off. The theme of “Sometimes it’s impossible to mend what had been broken” made me think of vengeance, where forgiveness is almost unthinkable, and the story just sort of spun out from there. I tend to write like Ray Bradbury, who said he sets the characters on their paths and just follows them – they do all the leading and he basically records what happens. Rations led me places I had no idea it would lead, but I disavow any responsibility – blame the characters for where the story goes. 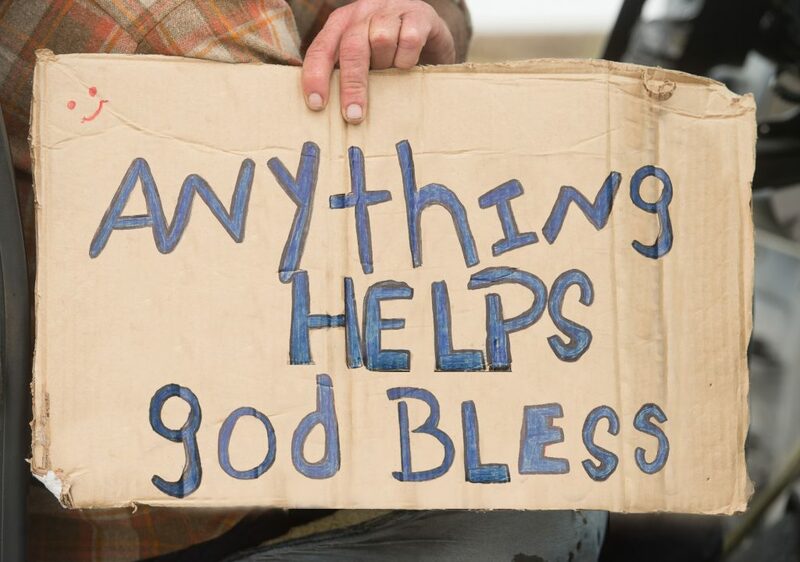 You’ve written an upcoming play entitled Anything Helps God Bless. Can you tell us about this play? When and where will it be performed? Anything Helps God Bless is a “devised theater” piece – co-written with a writing partner and with the contributions of the acting ensemble plus interviews, news articles, legal documents, etc., all revolving around the recent controversy in Portland where panhandlers were banned from soliciting money from any median strip. Free speech advocates were up in arms, the City was sued, and the resulting legal battle will be the subject of the piece, as a way to explore homelessness in our society and the power of the Constitutional right for due process. 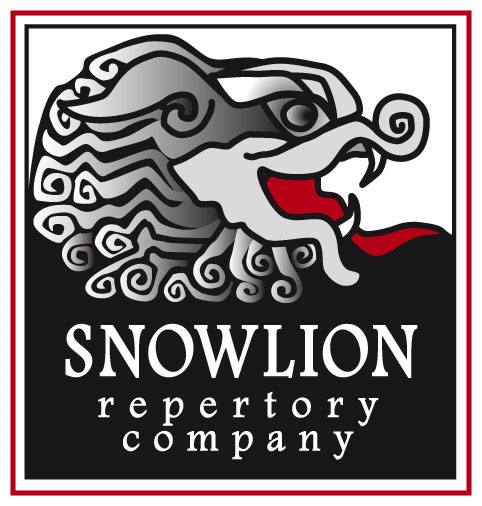 Snowlion Rep received state support for this unique theater piece, and its early incarnation will perform at the end of December in Portland. 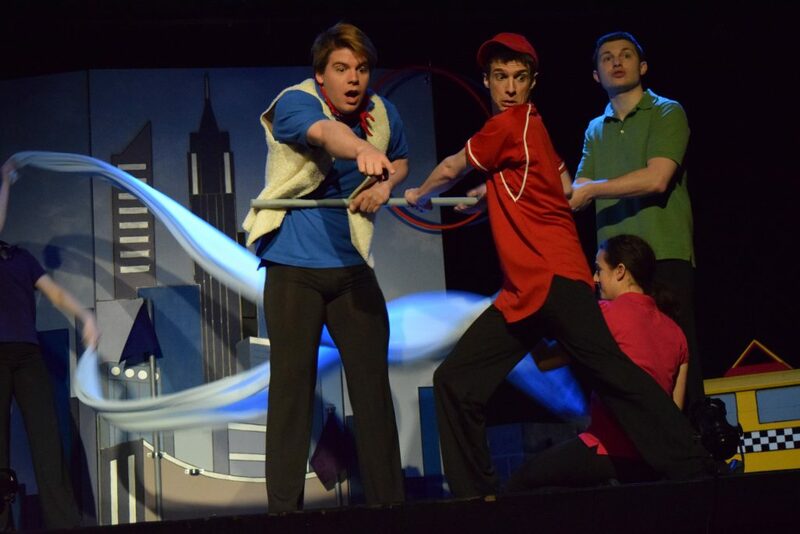 Your musical The Sock Who Lost His Mate launched the 4th Annual Children’s Theater Festival in New York. Can you tell us what goes into the creation of a musical? How does it differ from a traditional play? Are there any opportunities and challenges specific to this form? How much time do you have? Seriously, musicals are another beast entirely from plays. Which are completely a different beast from any other type of writing. Plays are highly structured to begin with. Add the element of music, which creates emotion in the listeners, and the challenges mount. I grew up listening to Broadway cast albums – they were the greatest teachers of the form, because the best of them told me the WHOLE EMOTIONAL STORY of the characters in the songs. I could follow the story without my having to read the synopsis on the back of the album. Gypsy, Fiddler on the Roof, South Pacific, How to Succeed, Sweeney Todd – each of these is in form quite different from one another, but they all achieve the same goal – an emotional journey in 2 hours that uplifts the soul. Yip Harburg (who wrote the lyrics for “Over the Rainbow” among other famous standards) said, “Words make you think a thought. Music makes you feel a feeling. A song makes you feel a thought.” The real challenge of writing musicals is to have your audience “feel the thoughts” you wish to convey in your show. You’re the producing director of Snowlion Repertory Company. What’s the most rewarding thing about working in theatre? Years ago in New York I got to work on some new shows with Arthur Miller (American Clock) and Tennessee Williams (Lifeboat Drill). I didn’t appreciate it at the time as I watched them work – I was a bit in awe – but now I realize, through years of working in the theater, that we’re all just on a creative journey, and it’s going to be different for each of us. Arthur Miller, one of the giants of all time, was just struggling to get his piece right. Like any one of us would! Theater of course is just one form of creativity – we’re all creating and co-creating in different ways in this great laboratory called Earth. Theater, like anything, can soar, exploring the best that humans can be, or it can devolve into the basest of pettiness. It’s fun and educational to observe the microcosm of theater and apply it to the world as a whole. Theater contains all the elements of existence – it’s a world unto itself, and as I mentioned earlier, I like “other worlds.” Plus it has costumes! You’ve written in so many different forms. Do you have a favourite medium? In numerology terms, I’m a “Five.” Being a “Five” means, I like constant change. I like to try something new all the time. That’s reflected in my writing – plays, musicals, music, articles, short stories, educational lectures, radio dramas, comic musings, you name it, I’ve written it. I seem to keep coming back to musicals, so I suppose that’s a favorite. But like any parent, I love all my children! I’ve lived a number of places and done a number of different things in my life (that Five energy being constant). I’ve worked at short-term jobs from medical transcription to wrangling film and TV animals to teaching English to Armenian immigrants. My hope is that my life continues to be as interesting and varied as it has been so far! And if I can finish my novel and keep working on my list of projects in the meantime, if I can write more songs that amuse and uplift, if I can turn a phrase that will inspire and delight, I’ll consider it time well spent and a life well lived! We here at ATKM HQ think MK is a writer worth following.